There are a few objects that make a man truly a man. One of them is definitely a decent watch. 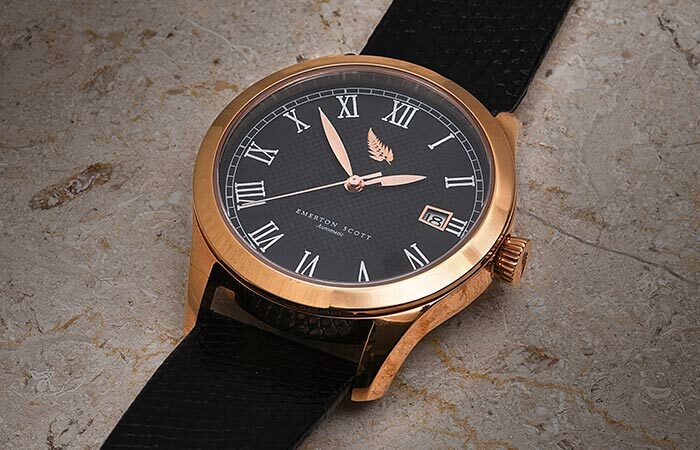 An elegant watch gives a man an unmistakable sense of finesse. It shows class, status and, many times, power. Well, if you were perusing the market for a watch like the one we described, then you’ve come to the right place! Introducing the new Emerton Scott limited edition Es.2 & Es.3 collections. The ES.2 Collection features 3 different models and they are all classified as automatic watches. The three different models come in Gold, Rose Gold and Silver. The ES.2 Gold model comes with a gold plated 316L stainless steel casing and Sapphire blue hands. The Gold model comes with a gold plated 316L stainless steel case that has been contrasted with a gridded white dial and Sapphire Blue hands. The strap itself is constructed from tanned Italian Hirsch leather. The ES.2 Rose Gold model features a brilliantly contrasted black face plate with a white dial and Rose Gold hands. The Rose Gold model features a Rose Gold plated 316L stainless steel casing that has been juxtaposed with a gridded onyx black face plate. The hands are also Rose Gold. The strap is black Italian Hirsch leather that gives you a comfortable and secure fit. The ES.2 Silver model features distinctive silver, white and blue colors that are exceptionally complimentary to each other. The Silver Model comes complete with silver plated stainless steel and a clean white dial. The hands are stunningly crafted in Royal Blue. 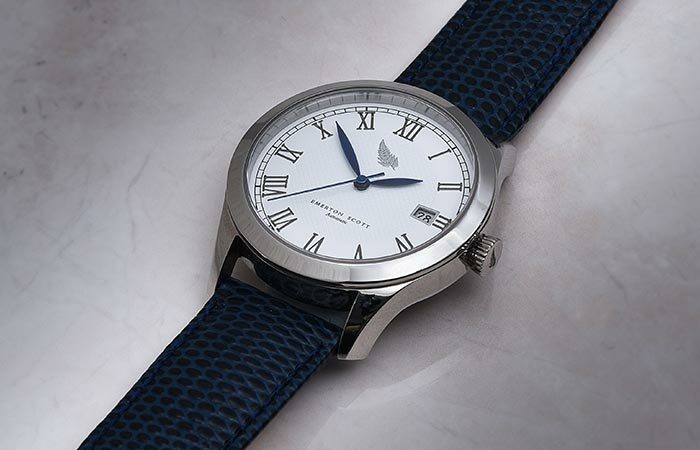 The strap is made from Blue Italian Hirsch leather. All of the watches in the ES.2 collection comes with a 38mm casing and with a Miyota 9015 movement. Click here get 60% off with their early bird offer on Kickstarter. The ES.3 collection features a very similar style to the ES.2 collection but comes with a different movement and a more elegant size. The ES.3 collection comes in the same color configurations as the ES.2 collection. 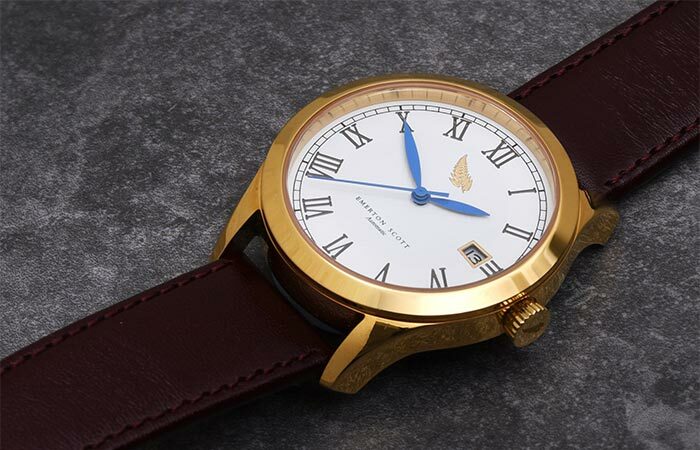 However, these watches come with a more elegant casing at only 30mm. This collection features a Ronda 705 Quartz movement but also come with the added advantage of having a date window. 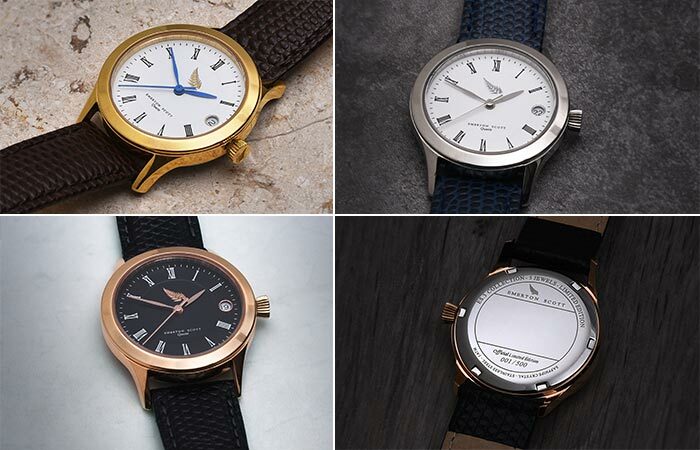 These watches are simple in design, and refined in construction. You can also secure 60% off this collection if you act fast.